Former Minister Harin Fernando states that the country should be rebuilt under the leadership of Sajith Premadasa as Premadasa is the wish of the whole country. He mentioned this today (25) addressing a electoral board meeting in Badulla Postal complex. 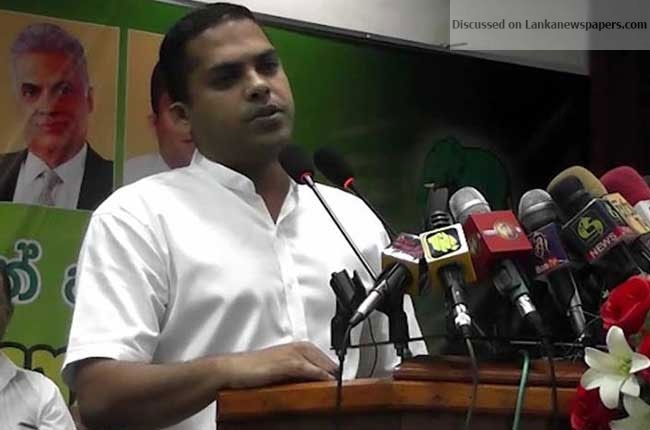 Stating that he respects UNP Leader Ranil Wickremesinghe, Fernando said that they should instead appoint Wickremesinghe to an honorary position and seek his intelligence. However, if this change doesn’t occur within the party, he will not contest at elections again, he further stated. He adds that the President’s behavior has resulted in an awakening of the UNP and that they will carry that pride with them at their vehicle parades from Badulla to Kataragama on the 01st December and then to Kandy on the 02nd December. He emphasized that the program will be launched throughout the country, encouraging the people.